Attorney Dunn is also a certified public accountant with experience in the tax department of a major international accounting firm. Consequently, his practice involves areas where federal taxation is pertinent. In his representation of business entities, attorney Dunn assists in their formation, operation and transfer. 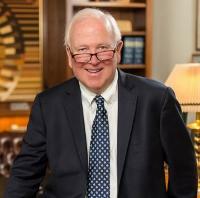 He also has a large practice in estate planning and administration. He is further involved in representing taxpayers before the Internal Revenue Service and other taxing agencies.